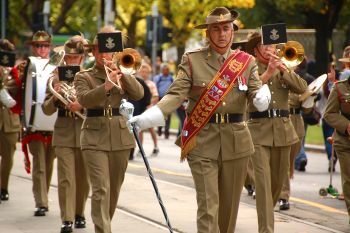 When is ANZAC Day 2019? ANZAC Day is a public holiday in Australia and New Zealand that is observed annually on April 25. It commemorates the landing of the Australian and New Zealand Army Corps (ANZAC) at Gallipoli in Turkey on April 25, 1915, during World War I, and all Australians and New Zealanders who died in wars, armed conflicts and peacekeeping operations. Parades, marches, ceremonies and memorial services are held to remember those who sacrificed their lives. The parades and marches involve veterans, current members of the armed forces and reserves, cadets, youth organizations and often others participants, including the police, fire and ambulance services and pipe bands. After the parades, reunions and social gatherings are held. Shops are only allowed to be open and sports events to be held in the afternoon. Around the world, expat Australians, New Zealanders and local representatives and dignitaries hold ceremonies and commemorations at ANZAC monuments and other war memorials. A special feature of ANZAC Day are dawn services, to commemorate the dawn landing in Gallipoli and to remember the comradeship soldiers felt in quiet moments before dawn. Wreath are often layed during these services, a prayer is said, the "Last Post" is played, a minute of silence is observed and the national anthems of Australia and New Zealand are played. It's traditional to have 'gunfire breakfast' (coffee with added rum) shortly after the dawn services. 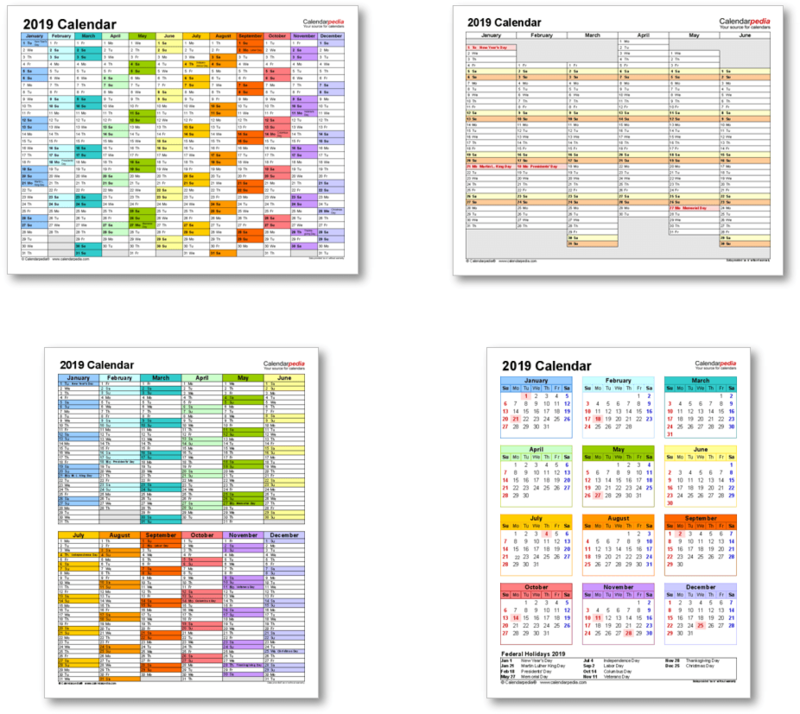 In years in which April 25 falls on a Saturday or Sunday, the following Monday is a substitute public holiday in some Australian states and territories (but not all). ANZAC Day is also observed in the Cook Islands, Niue, Pitcairn Islands and Tonga. It is one of many Armed Forces Days held by countries around the world on different days of the year. 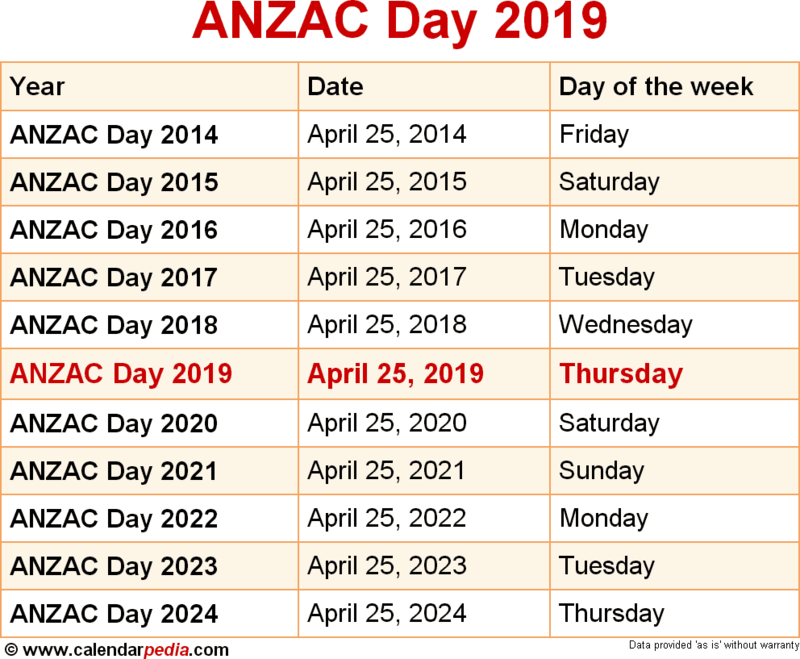 When is ANZAC Day 2020? The next occurrence of ANZAC Day is marked in red.